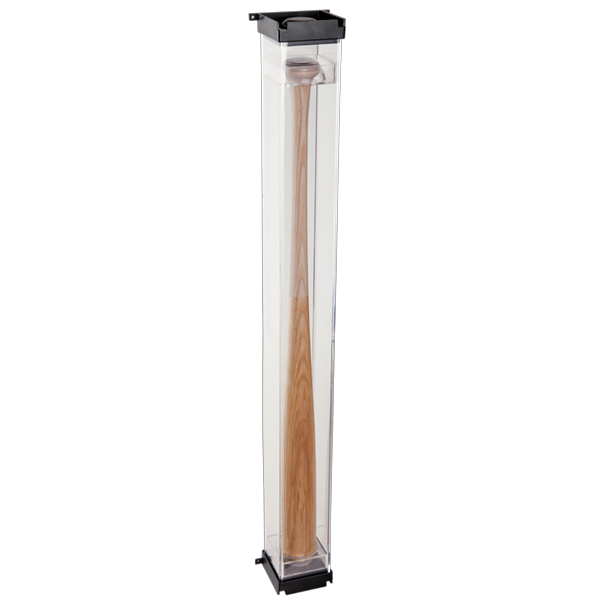 BallQube’s wall-mountable BASEBALL BAT DISPLAY CASE. Comes with two clear, adjustable spacers to fit any length bat. These cases look great double and triple stacked. OTHER USES: **Display ten baseballs (first placed inside BallQube Baseball Displays) and then placed inside the bat display. **Display four 1:24 Scale NASCAR Collectables.